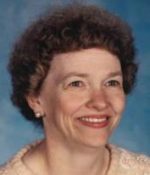 Remembering Loretta Fowler | Remembering Loretta Fowler | De Soto Obituary Search | Dietrich-Mothershead Funeral Home, Inc. Remembering Loretta Fowler | De Soto Obituary Search | Dietrich-Mothershead Funeral Home, Inc.
Loretta Lee Fowler was born January 28, 1939 in Carruthersville, MO. She was the daughter of Gerald and Laverne (nee Swanagon) Gourley. She died on November 15, 2015 at The Villa’s in De Soto, MO at the age of 76 years. She is survived by two daughters, Vanita Gaye (Norman) Valle, De Soto, MO; and Joy (Robert) Richman, Blackwell, MO; two brothers, Richard (Schree) Gourley, Malden, MO, and James (Linda) Smith, Springfield, MO; grandchildren, Jim (Christy) Richman, Nicholas Richman, and Austin Valle; great-grandchildren, Emerson and Easton Richman. She is preceded in death by her parents; her husband of 57 years, Rev. Van Fowler; and one grandchild, Justin Valle. Loretta was a second grade teacher at Athena School, De Soto, MO; graduate of Missouri Baptist College, member of Missouri Teacher’s Association, and the Women’s Missionary Union. 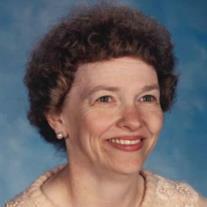 Loretta was also a member of the Calvary Baptist Church, De Soto, MO. As an expression of sympathy memorials may be made to the Calvary Baptist Church, De Soto, MO.